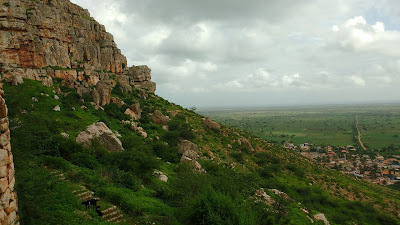 Saundatti is a small but significant town located in Northern Karnataka. 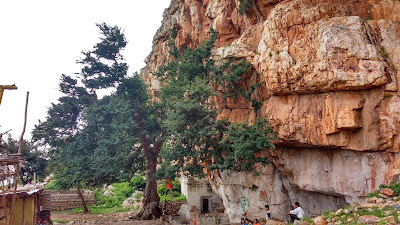 The temple of Yellamma (Renuka) located on a hill nearby sees quite an influx of tourists/pilgrims and has been famously associated with the 'Devdasi' cult. 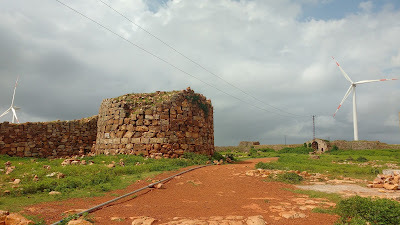 Apart from that, Saundatti region houses the two forts of Saundatti and Parasgad of the Ratta dynasty, of which the town once served as a capital. 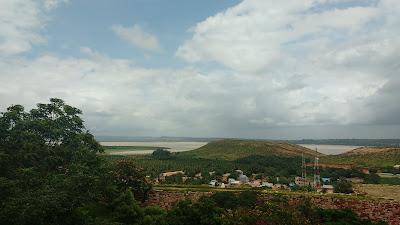 The Renuka-Sagar Dam is located to the north of the town, across the Malprabha river, and is a beautiful place. 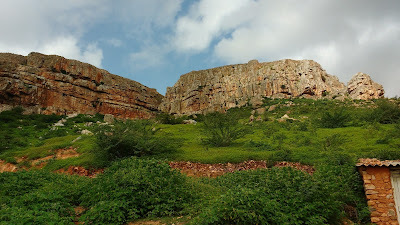 Saundatti is best approached by road. 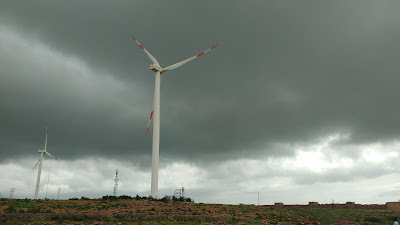 Belgaum is 80km to the West and Dharwad is 40km to the South. Both cities have frequent bus connections to Saundatti. 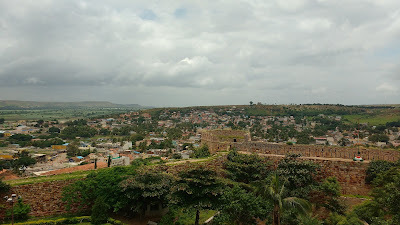 The Saundatti fort is inside the limits of the main town and can be approached on foot. 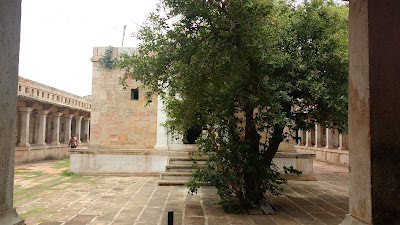 Yellamma Temple is about 5-6 km away, but share rickshaws are available for a princely sum of Rs. 10. 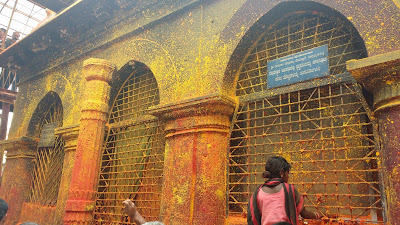 Parasgad is located close the the temple, but sufficiently off-route to warrant special rickshaw rates. 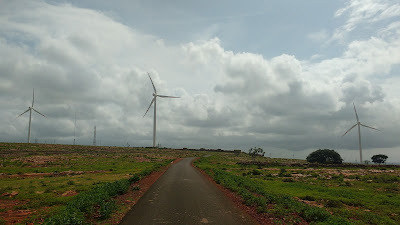 One can easily walk from the road-junction to the fort though, the open plateau and wind-mills make it a pleasant walk. 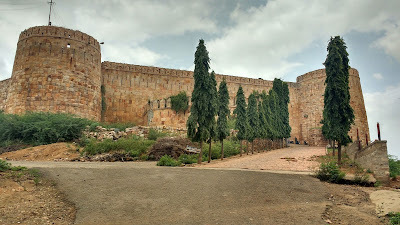 The fort belongs to the 18th century ans is located in the main town. 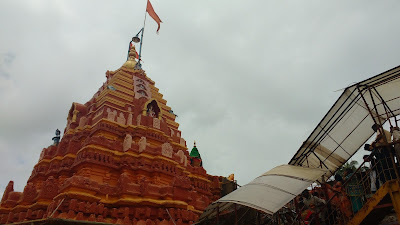 The fort has a temple of Kadasiddheshwar at the highest point. 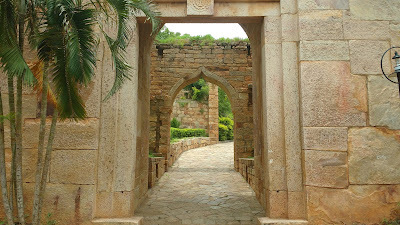 The fort is uniquely built in white-ish sandstone, presenting a very Mediterranean ambience. The palm-fronds at the entrance help too. 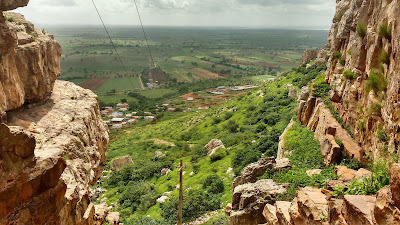 The top has views of the entire Saundatti town and the Renuka-Sagar Dam in the distance. 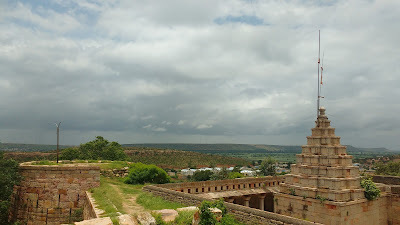 The Yellamma Temple is a very important pilgrimage centre in Northern Karnataka. The main shrine is surrounded by a small walled courtyard, around which the small market radiates. 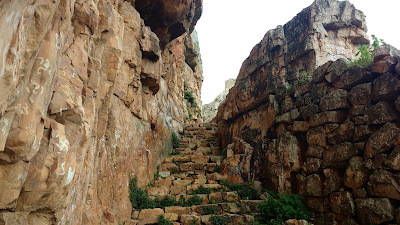 A series of steps descend from the main roads towards the market and the main temple. A couple of deep-maal are also seen. 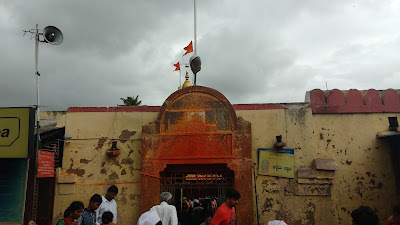 The temple has long been associated with the Devdasi tradition, although it is claimed to have been abolished presently. 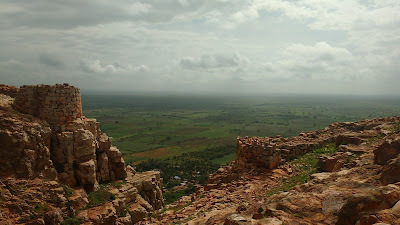 The Parasgad fort belongs to the 10th century and probably served as the capital of the Ratta kingdom for some time. 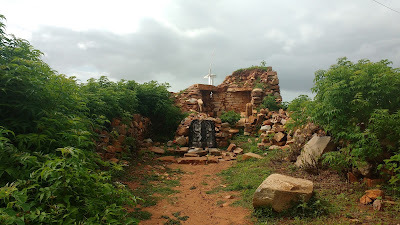 The construction is divided in two parts: one part faces the plateau of the Yellamma temple and the approach resembles that of a pure landlocked fort; the other part covers the steep gully that descends to the Ramteerth spring and Yadravi village below. Pictures will give a better idea. We did a trough trek from the Parasgad fort, down via Ramteerth to the Yadravi village and then took a rickshaw back to Saundatti. 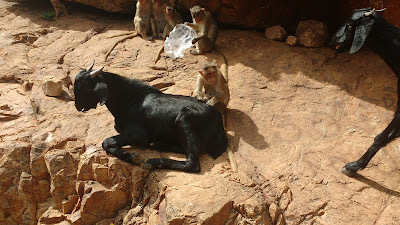 Saundatti is a common day trip for the locals. A balance of religion and history makes this is a good 'package' of sorts. A minor adventure can be had by trekking down from Parasgad, though people bringing their own vehicles will face some trouble here. 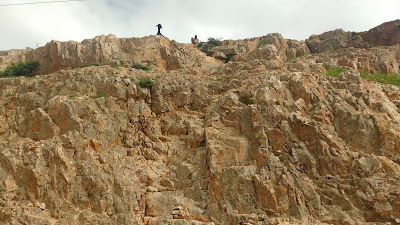 There are other places like the Renuka-Sagar Dam and the temples of Hooli that can be explored as well. Happy travelling! 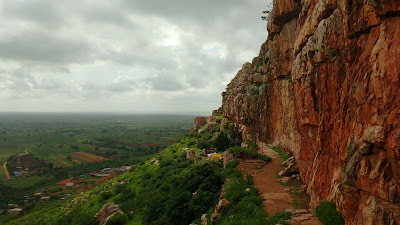 Beautiful introduction of a must visit place !! I love traveling and exploring, and this is one place I was unaware of, so thank you for posting and bringing this place to my attention. Will plan a trip right away. Seems to be such a nice place. Have a great day! Thanks! Have a good, safe trip!